It is always a good time for a festival. Christmas is a favorite time of year for kids and adults alike. Why not make the Christmas Holiday extra special by creating a lasting memory your family will always remember. Riverside Limo Rental would enjoy being apart of your experience by chauffeuring your family to around the city to look at the lights and get in the holiday spirit. There are a number of outstanding ﻿displays﻿ of Christmas lights, decorations and spirit that can be both seen and felt. With us and your family together, this Christmas Holiday will top the rest. Let's not let the fun stop at Christmas because in just 6 more days you'll be bringing in the New Year. New Years Eve is the night when even workaholics find away out to celebrate. Whether you decide to go out with a group of friends, your special someone or with your family; we have a car that is suitable for you. A group of friends or family may want to rent our party bus. The party bus can seat 20+ people, so before you get to your New Years Eve party location you can already be partying in the bus. Of course, if you just want to party on the bus, you can do that as well. Your mini bar will be stocked, your party hats and horns will be ready for your count down. The party bus will have a sound system that will make you want to move and if the radio doesn't make you happy you can always sync your phone to the system. 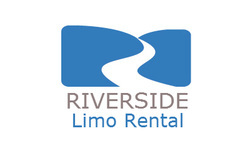 Cheers to an unforgettable New Years Eve with Riverside Limo Rental. Sweethearts Day is a day that all couples look forward too. If your wanting to show your mate an unforgettable night, start by giving us a call. We'll make sure your mate feels like the Queen or King that they are. You two get dressed and let Riverside Limo Rental do the rest. As our chauffeur opens the stretch limo door, you both will see the roses, chocolates and champagne for your enjoyment. The music will be soft and relaxing to the set the tone for Sweethearts Day. If you have made your own playlist, just sync your music to the system and enjoy. Happy Sweethearts Day! These are just a few of the seasonal events we cover, you name the event and we have the limos to make the event even more special. No occasion is too big or small for our services so give us a call so we can help you make that event your best event.